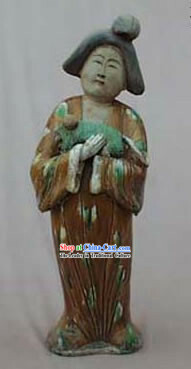 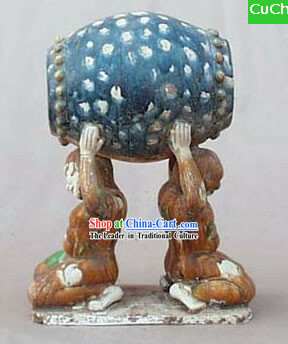 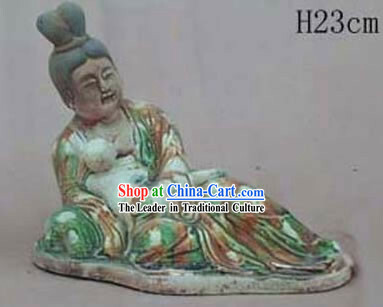 This Tang San Cai pottery features a lady in traditional Tang dynasty fashionable costume holding a puppy dog. 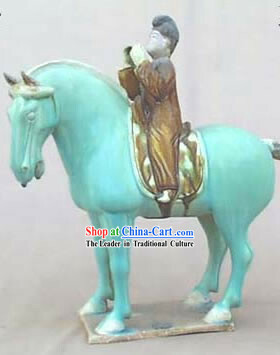 Her clothing and make up radiates with the upper class refinement. 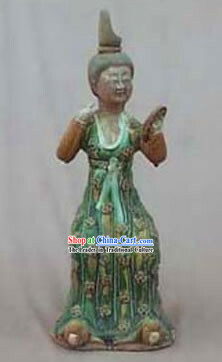 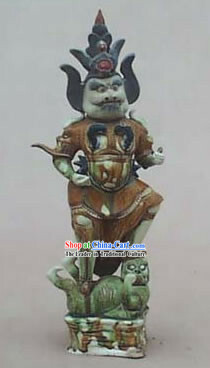 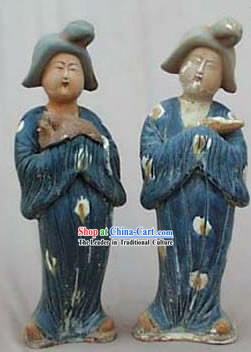 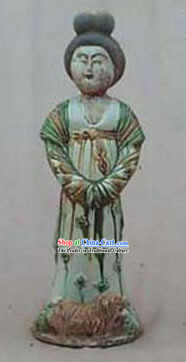 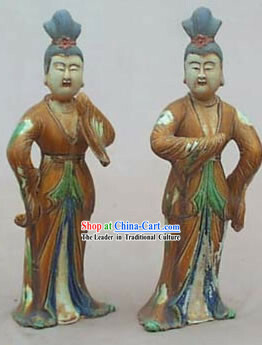 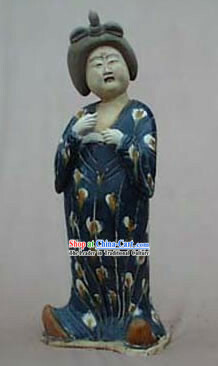 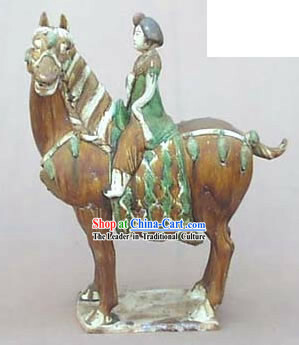 Her full figure and round face are in conformity with the criteria of beauty in the Tang Dynasty (618-907). 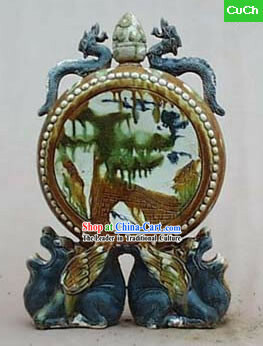 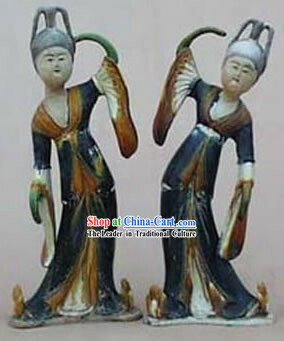 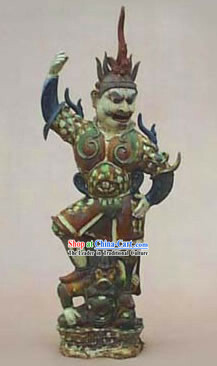 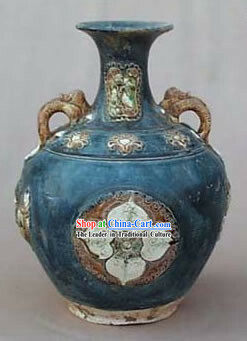 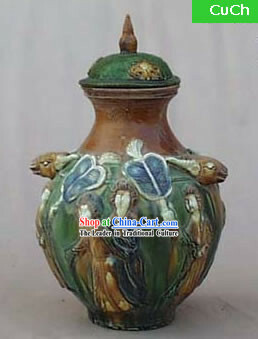 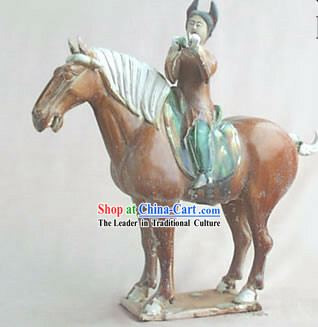 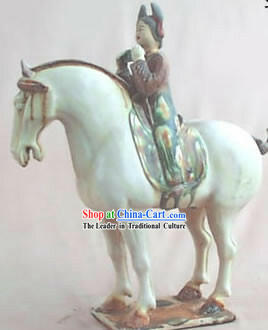 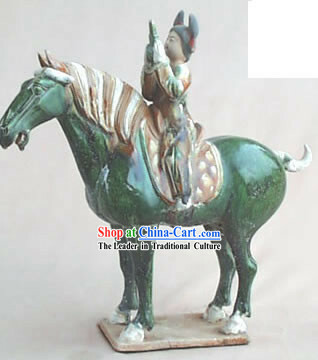 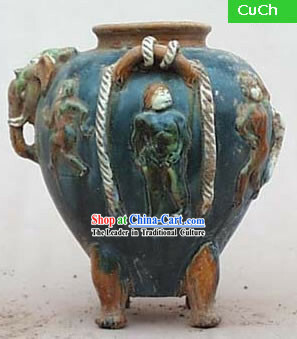 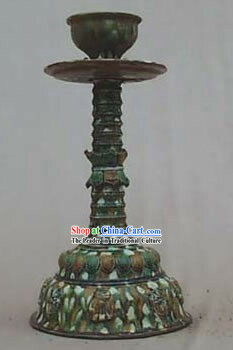 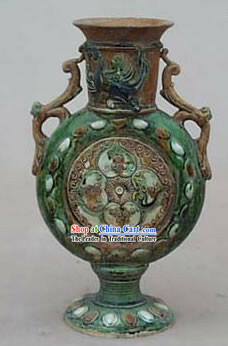 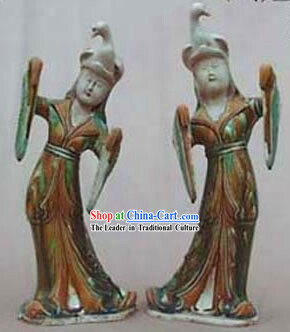 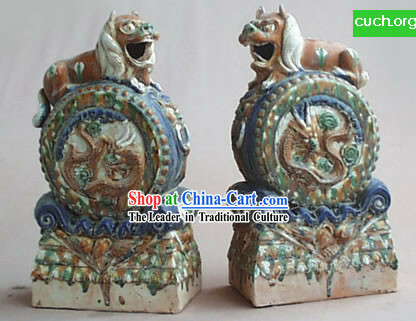 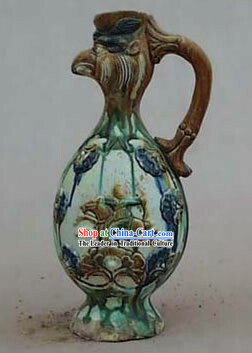 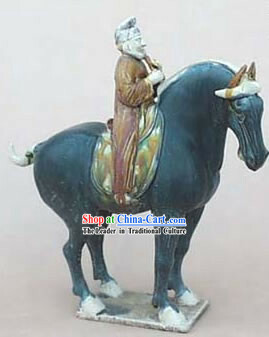 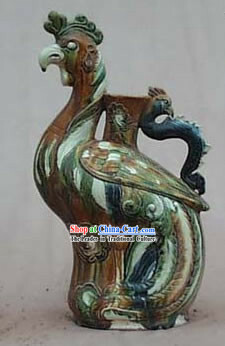 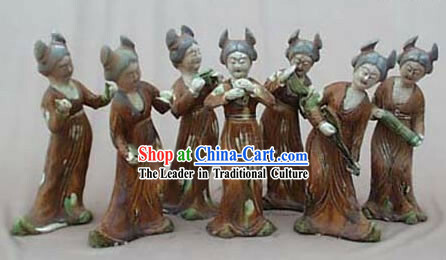 Tang San Cai, also known as Tang tri-color is the generic name for color -glazed pottery of the Tang Dynasty. 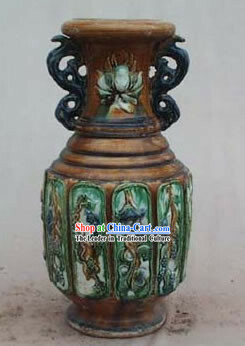 Its colors include yellow, green, brown, blue, black and white, but the first three shades of yellow, green and brown are its major tones. 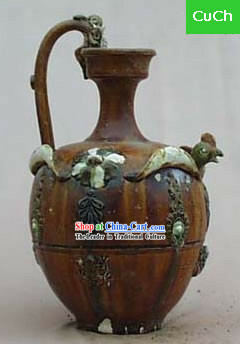 The body was made from white clay, and after the clay mold had been fired into a fixed shape, a mineral frit was applied. 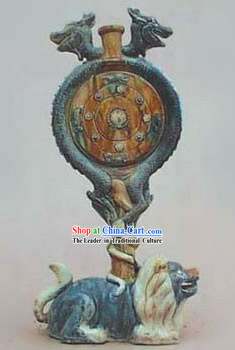 The body would then be fired again at a temperature of around 900 degrees centigrade. 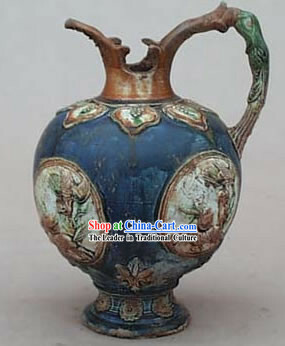 This time consuming complex glazing process give the finished porcelain an amazing colorful pattern. 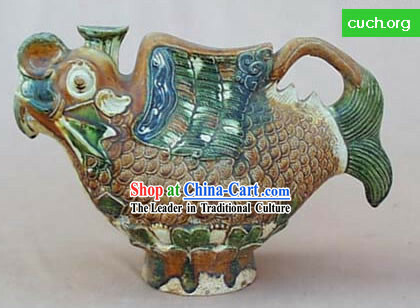 The process of making Tang San Cai had a great influence on succeeding dynasties, and was replicated both at home and abroad, resulting in Song-Dynasty tri-color, Liao-Dynasty tri-color, and Japan's Nara tri-color, to name only three. 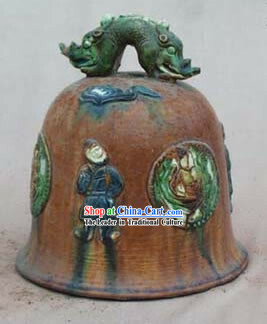 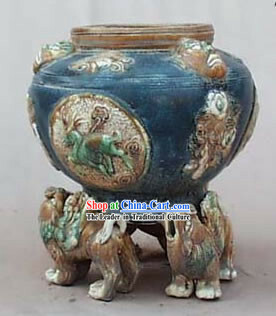 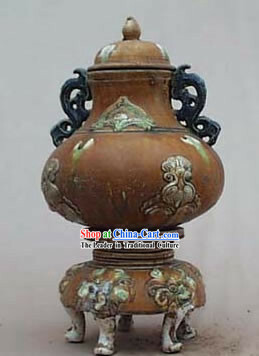 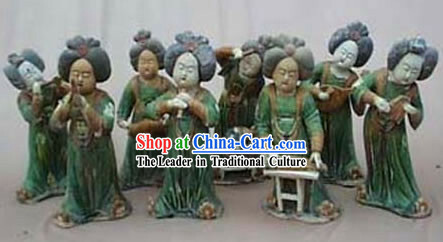 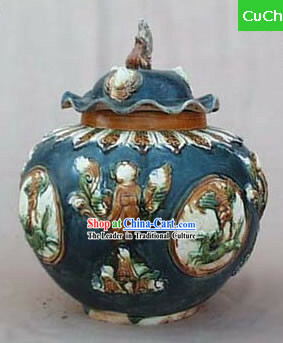 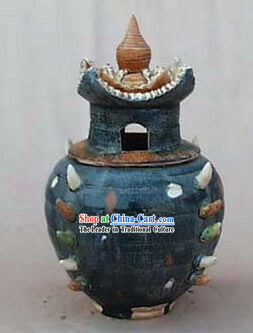 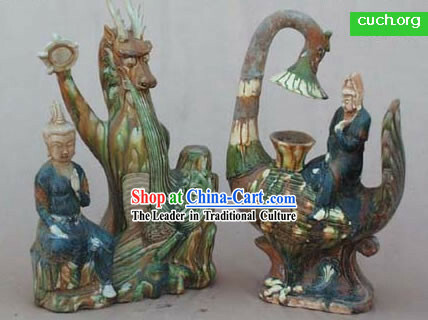 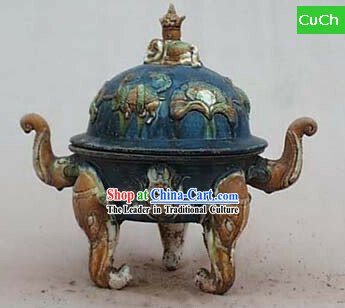 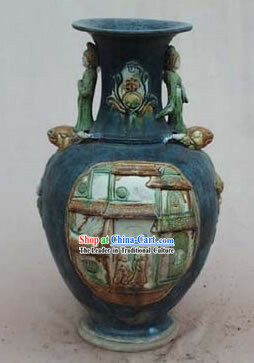 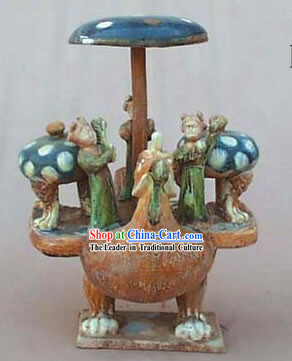 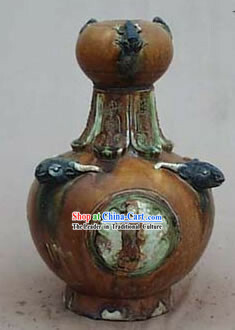 Perfect for outdoor garden and indoor usage, this beautiful Tan San Cai pottery exudes excellent workmanship.